Women's lounge on the 2nd floor and the mom's room on the 3rd floor. 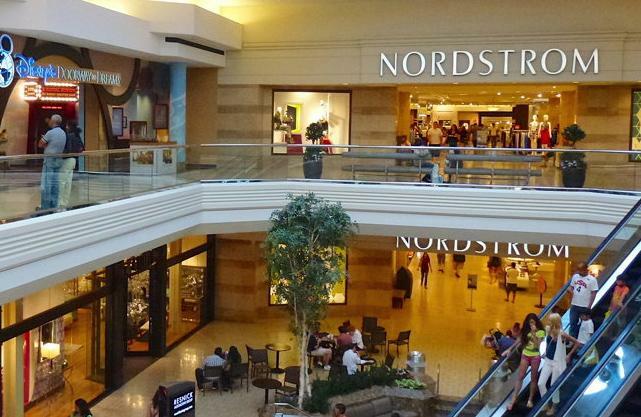 Nordstrom at Woodfield Mall, in Schaumburg Illinois has a lovely and very spacious mothers lounge that caters to nursing moms needing to break for breastfeeding or breastpumping. This nursing area on the Women's lounge on the 2nd floor and the mom's room on the 3rd floor is very well kept, there's a sink, comfy couches, baby changing station, it's dimly lit, and quiet, and picture framed decorated wall. "Where to start. I love Nordstrom's and all of their departments. First off, bathrooms when my daughter was born I came to Nordstrom to breastfeed on their comfortable couches and chairs in the women's lounge on the 2nd floor and the mom's room on the 3rd floor. It's dimly lit and quiet. What more can a mom ask for. Their changing tables are always clean and have ample soap and water to wash your hands afterwards." "They have an excellent Mother's Room, totally separate from the bathrooms and Women's Lounge, where you can breastfeed, change, or otherwise tend to your child." Ask the staff for help if you need anything extra while nursing/shopping.